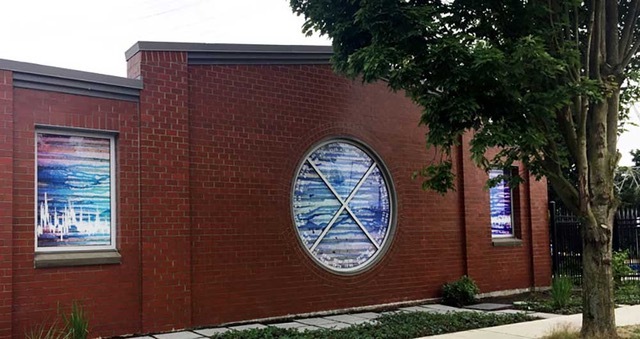 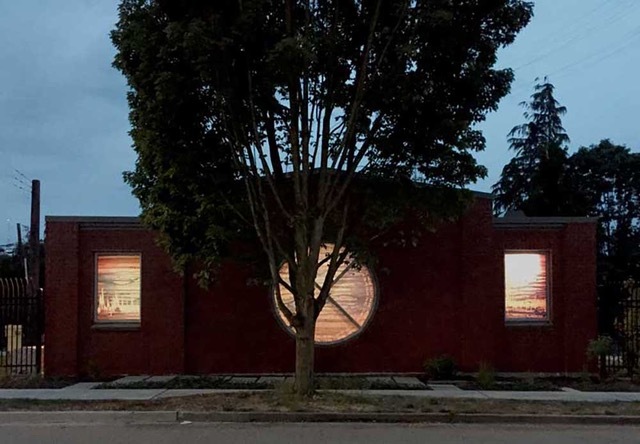 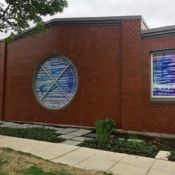 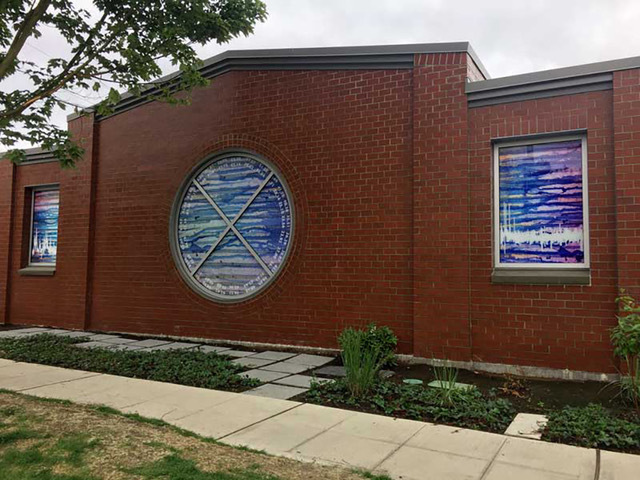 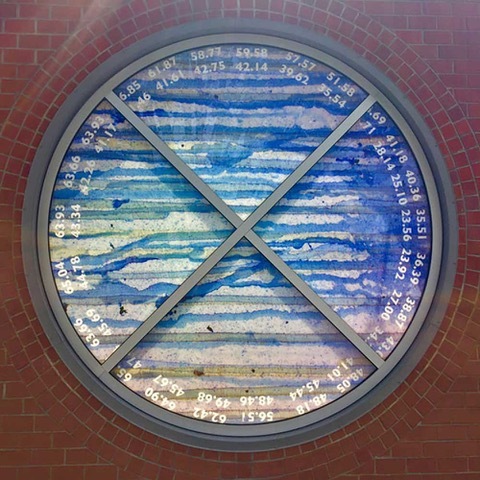 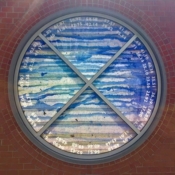 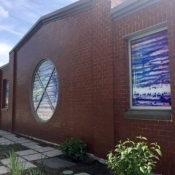 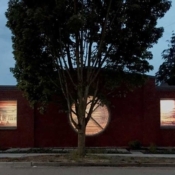 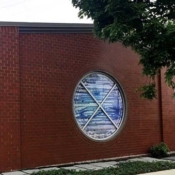 This architecturally-integrated project tells the story of wastewater processing and seasonal stormwater flow through the cross-pollination of aesthetics and informatics from the project hydrology report. . the 9′ round window is the same dimension as the siphon running below the artwork, underground. 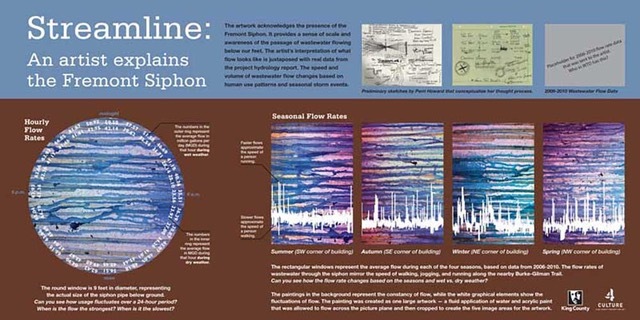 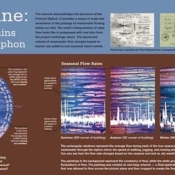 The client requested an educational component to the artwork that would help people understand the transference of wastewater in a non-didactic way.